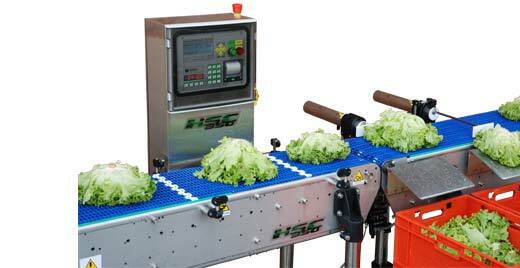 The HSC350 “Q” series checkweigher is designed and realized to work dirty and unpackaged product such as lettuce, cabbage, fennel, broccoli and any kind of fruits and vegetables. 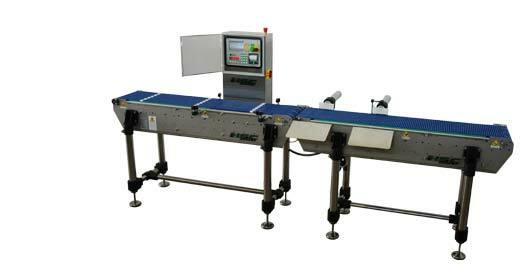 Compact footprint and simplicity of use: configuration with two channels sorting. Up to 9 channels sorting according the weight range. Sealed and stand-alone control panel with option to remote it up to 9 meters distant from production lines.